This is about one and a half hours of work compressed into one and a half minutes. I only wish I could knock it out in a minute and a half. 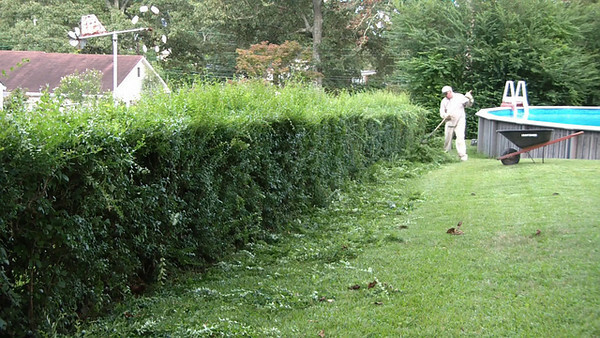 The hedge is about 90 feet long, so shearing both sides is 180 feet plus the top.